No item in my makeup kit is more important to me than my makeup brushes! In a pinch, I can make a masterpiece using drugstore makeup, but I am absolutely out of commission without my beloved brushes. Anyone who knows me, knows that I am obsessed with Japanese brush manufacturers, primarily Hakuhodo & Tanseido. Their 100s of years of brush craftsmanship of is unparalleled, so I don’t invest in any other manufacturers for my kit. In fact, 90% of my brushes are from either Hakuhodo or Tanseido. Since I invest so much money into my brush collection. Custom engraving is one of the awesome services that these brush manufacturers offer, so I like to take advantage of that. 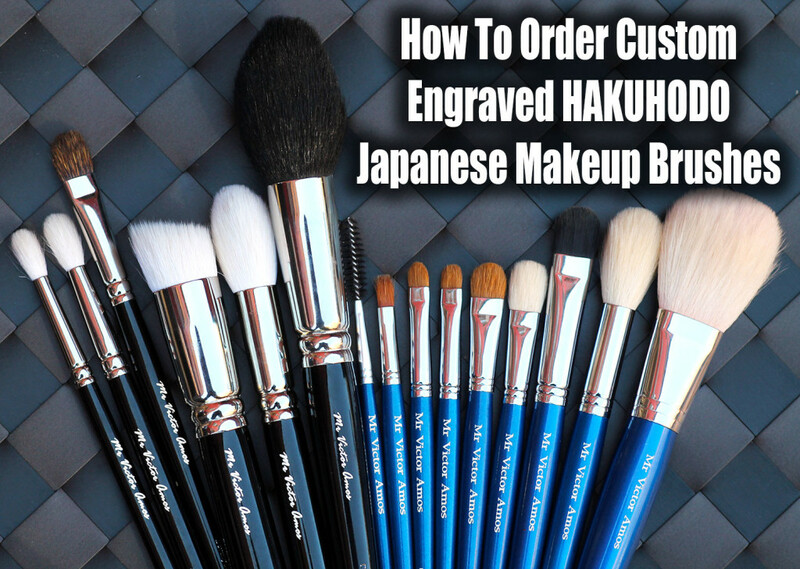 While Hakuhodo has an English website (www.HakuhodoUSA.com), you are not able to take advantage of custom-engraving there. You can only request custom engraving by ordering directly from their Japanese website (www.Hakuho-do.co.jp). That can be a little intimidating and confusing for a lot of people, so I have created a step-by-step tutorial to make the process easy! Just follow along on the next few pages.